What brand , where selling 4K 55 at 599? How many years is the warranty for the AOC 50”? anyway, where can get AOC TVs nowaday. They are not selling everywhere like being withdrawn. Mustafa confirm sellin n in stock? Harson's 55" 4k smart tv selling for $569 at Fairprice Xtra outlets. Dont expect anything outstanding from the panel at this price. Colors look very dim and washed out but it might be due to the settings. Lastly, terrible placement of the ports. Mostly down facing except for a couple found on the right side. Aoc isn't available at amk ntuc extra. Only left harson with limited warranty. Not sure onsite or not. 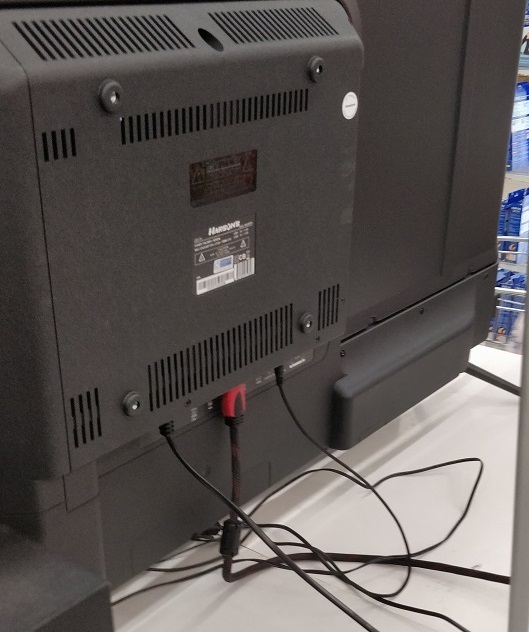 NTUC xTra Jurong Point now may have sold out the AOC 50inch models (still listed at S$599 while stock last but only saw one display set) and replaced with Harson's brand. 55" 4k UHD Android model S$569, model 55ALS55T2S, with DVB-T2. 40inch model S$289 without Android 40ALS45T2 and S$339 with Android 40ALS55T2S. Last edited by xiaofan; 17-02-2019 at 05:55 PM..